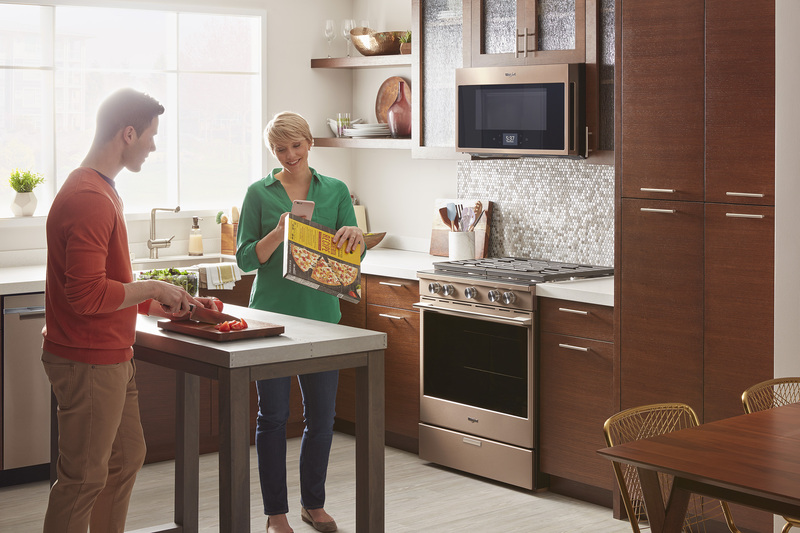 LAS VEGAS, Jan. 8, 2018 – At CES® 2018, Whirlpool brand is continuing to show how families can care in smarter ways through cooking, cleaning and washing. 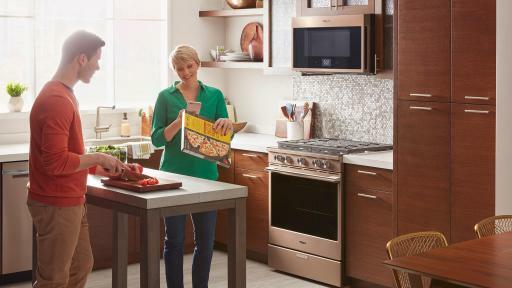 The brand is purposefully innovating its smart appliances by fulfilling real human needs to eliminate guesswork and get the job done better, faster and smarter via collaborations and recipe app integrations. The Smart Front Control Range and Smart Over the Range Microwave with Scan-to-Cook Technology will integrate with Yummly to deliver a personalized cooking experience in 2018. Families will be able to control the Smart Range through the Yummly recipe app to integrate recipes and cooking functionality into one platform. The True Convection Bake Mode on select Smart Microwaves will also be compatible with the Yummly app to integrate recipes and cooking functionality into one platform. Just select from a database of curated recipes and send cooking instructions straight to the appliance. The instructions include everything from preheating to temperature and timing adjustments, and the Yummly functionality within the app will also take users through a step-by-step process – including images and video – to guide consumers on exactly how to prepare that item. 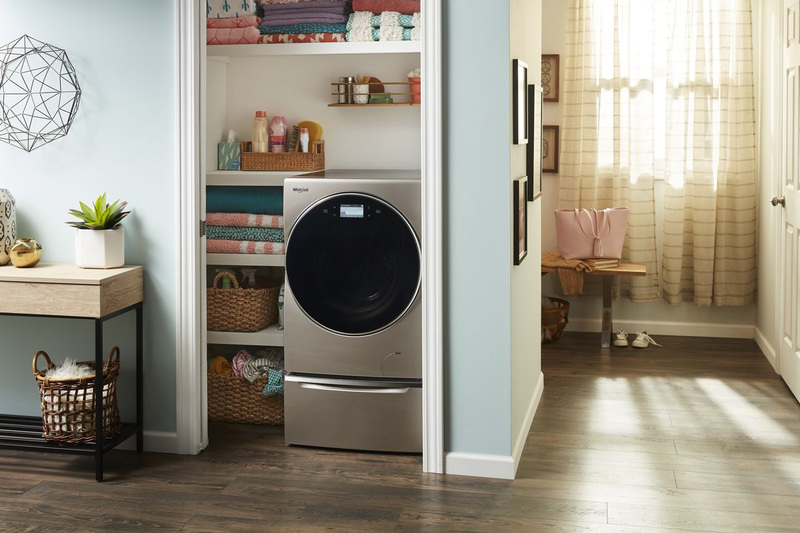 The Smart All-In-One Washer and Dryer will help families keep their daily tasks going, even when they’re busy and forget about their laundry. The unit can be set to begin drying after the wash cycle completes, answering the need for less complex washing routines and providing a compact unit perfect for tight spaces where a separate washer and dryer might not fit. Hands-free Help From the Google Assistant: With voice command capabilities throughout the kitchen lineup, families can ask the Google Assistant how much time is left on the microwave, set and adjust cooking mode, set temperature and time on the range, start a cycle on the dishwasher or set temperatures in the refrigerator. Voice-control Appliances with Amazon Alexa: With voice command capabilities throughout the kitchen lineup, families can ask Alexa how much time is left on the microwave, or coming soon, can set and adjust cooking mode, set temperature and time on the range, start a cycle on the dishwasher or set temperatures in the refrigerator. In addition to capabilities in the kitchen, simple voice commands in the laundry lineup allow families to start, stop and pause the washer or ask how much time is left on the dryer. Now families can simply ask "Alexa, how much time is left on the dryer?" Amazon Virtual Dash Buttons: Within the connected refrigerator lineup, Prime customers will be able to order their favorite everyday products like beverages, snacks or paper towels, straight from their LCD touchscreens, with virtual Dash Buttons. Alert Notifications with Apple Watch: The Smart All-In-One Washer and Dryer can be remotely controlled from a mobile device through the Whirlpool® mobile app. Through mobile device notifications or the Apple Watch, alerts are sent once a load of laundry is complete, so no more guessing and checking in frequently only to find out the cycle is not complete. 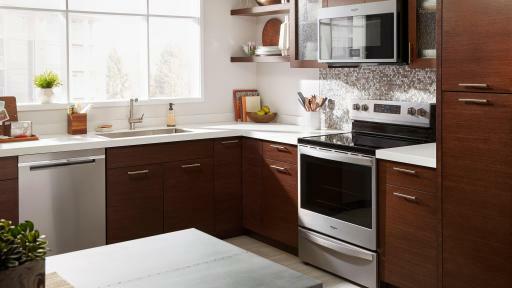 Whirlpool brand and Yummly are also bringing home three 2018 CES® Innovation Awards for new and innovative kitchen products, including the Whirlpool® Smart Suite in Fingerprint Resistant Stainless Steel, Whirlpool® Smart Microwave with Scan-to-Cook Technology and Yummly 2.0 featuring ingredient recognition and connected recipes. 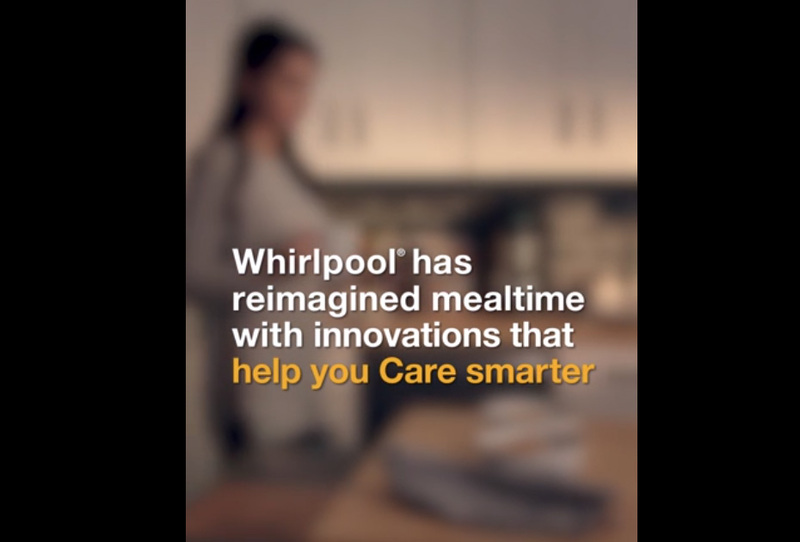 For more information on the company’s care-centric products and to join the conversation, visit ces.whirlpool.com and follow #CareSmarter. Not all frozen foods included. WiFi & App required. Features subject to change. For details and privacy statement, visit whirlpool.com/connect. 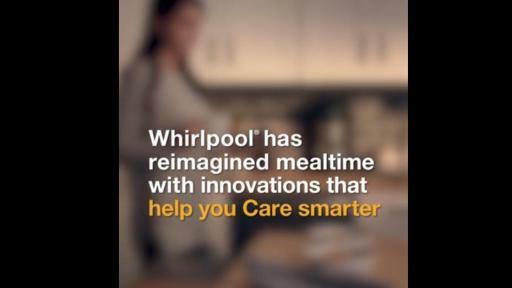 For more than one hundred years, Whirlpool brand has been inspired by how people care for their families. 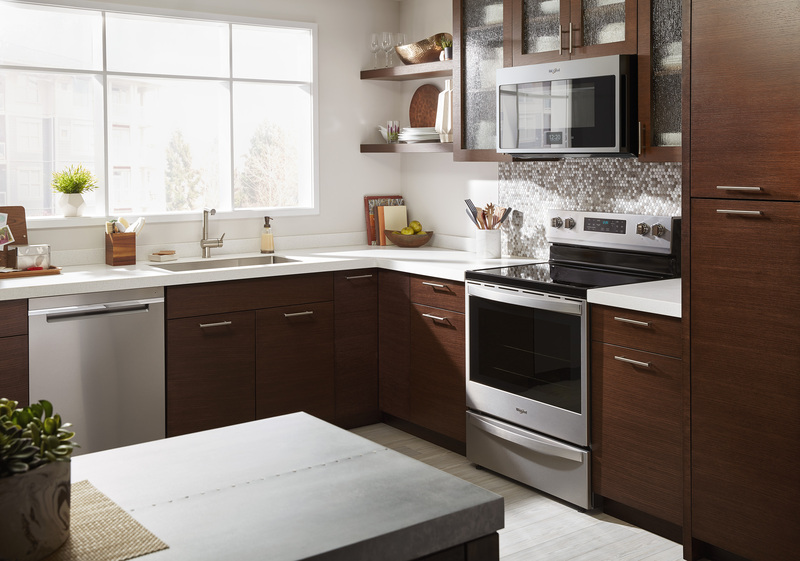 Whirlpool brand is designing home appliances that are focused on improving how families give and get the care they need with the latest technologies and innovations – whether that means most flexible refrigerator storage for all types of family needs, induction technology for efficient cooking and easier cleaning, or laundry pairs that sense and adapt to clothes with the latest in connected technologies. 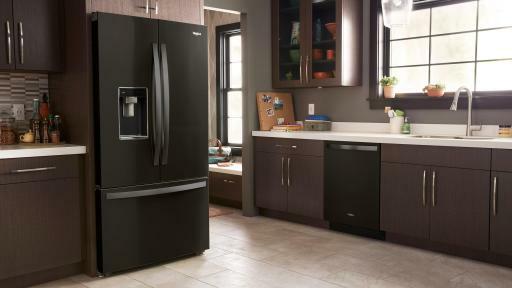 Whirlpool brand is part of Whirlpool Corporation, the world's leading manufacturer and marketer of major home appliances. 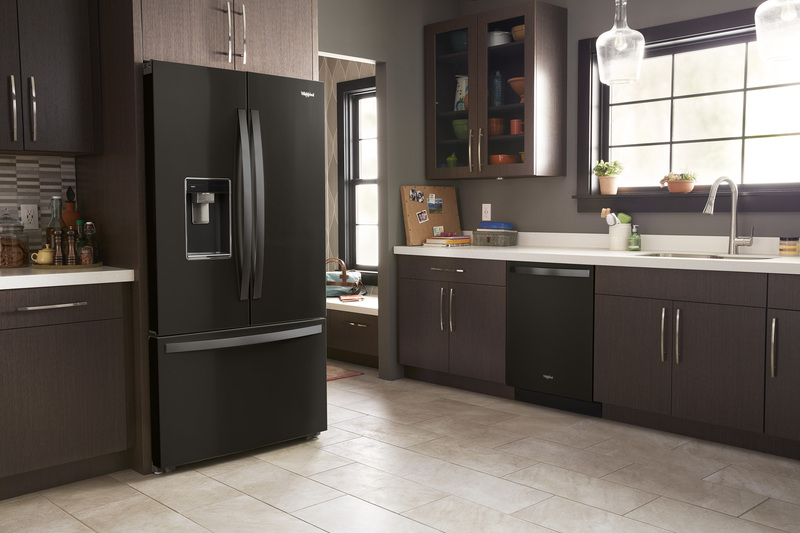 Whirlpool Corporation is also one of Habitat for Humanity's largest corporate partners for over 15 dedicated years, donating a refrigerator and range to every new Habitat for Humanity home built in North America. 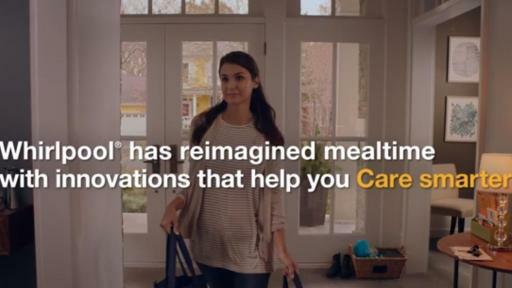 For more information on Whirlpool, please visit whirlpool.com/everydaycare or find us on Facebook at facebook.com/whirlpoolusa or Twitter at @WhirlpoolUSA. 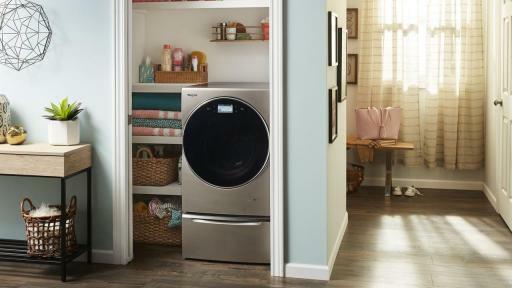 Additional information about the company can be found at whirlpoolcorp.com. Yummly, founded by David Feller and Vadim Geshel in 2009, is a leading digital platform (mobile and web) for personalized recipes and cooking resources. Since Yummly’s inception, it has been active in the digital kitchen and connecting users to the recipes they love. From recipe recommendations to handy tools and helpful videos, Yummly has everything needed to improve life in the kitchen every step of the way. The company, headquartered in the heart of Silicon Valley, uses patented technology and proprietary data to understand food and taste, making it the best source for recipes tailored to specific taste preferences. For more information, visit www.yummly.com.